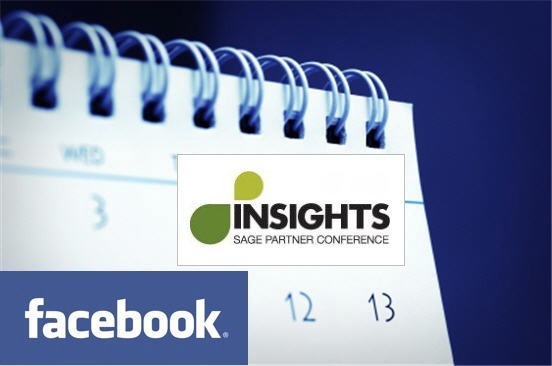 Sage North America have just announced that their annual business partner conference (Insights) will occur just before their annual customer conference (Summit) beginning with the combining of the two conferences in July 2011 at the Gaylord Convention Center in Washington DC. 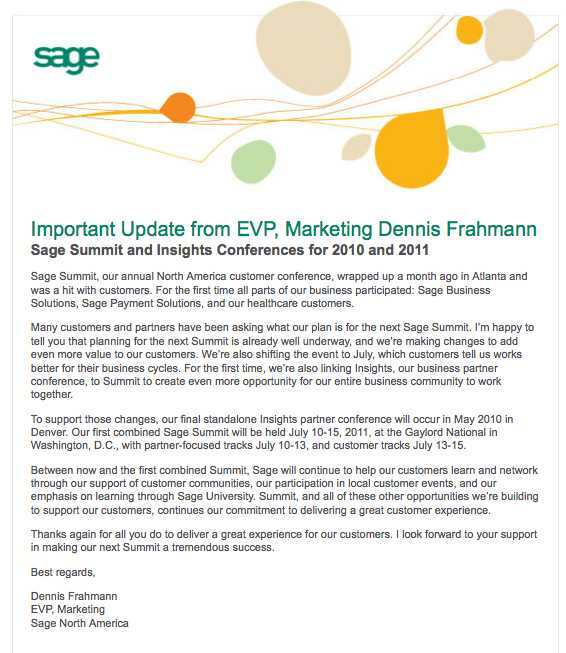 As both conferences merge, the new name going forward will be Sage Summit. 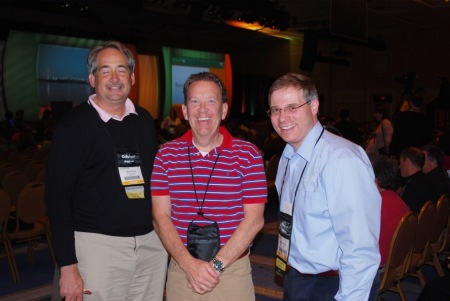 Sage Summit 2011 will be held July 10 – 15, 2011 at the Gaylord National in Washington, D.C. Partner focused tracks will be held July 10 – 13, and customer tracks will be conducted July 13 – 15. The final Sage Insights conference will be held this May in Denver, CO.
Sage Summit, our annual North America customer conference, wrapped up a month ago in Atlanta and was a hit with customers. For the first time all parts of our business participated: Sage Business Solutions, Sage Payment Solutions, and our healthcare customers. Many customers and partners have been asking what our plan is for the next Sage Summit. I’m happy to tell you that planning for the next Summit is already well underway, and we’re making changes to add even more value to our customers. We’re also shifting the event to July, which customers tell us works better for their business cycles. For the first time, we’re also linking Insights, our business partner conference, to Summit to create even more opportunity for our entire business community to work together. To support those changes, our final standalone Insights partner conference will occur in May 2010 in Denver. Our first combined Sage Summit will be held July 10-15, 2011, at the Gaylord National in Washington, D.C., with partner-focused tracks July 10-13, and customer tracks July 13-15. 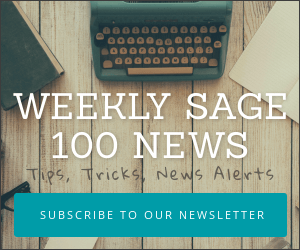 Between now and the first combined Summit, Sage will continue to help our customers learn and network through our support of customer communities, our participation in local customer events, and our emphasis on learning through Sage University. Summit, and all of these other opportunities we’re building to support our customers, continues our commitment to delivering a great customer experience. Thanks again for all you do to deliver a great experience for our customers. I look forward to your support in making our next Summit a tremendous success.